The bite of a Spider granted high-school student Peter Parker incredible powers when a burglar killed his uncle Ben and Peter vowed to use those abilities to protect others. 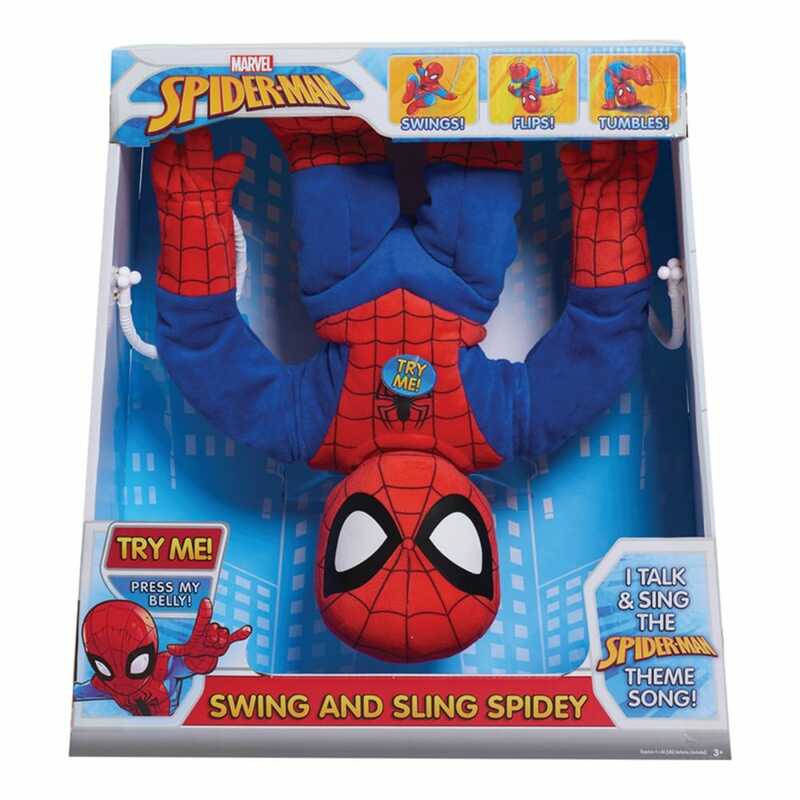 Driven by his uncle's words 'with great power comes great responsibility' which is taken from the hit Marvel Spider-Man story comes the swing & sling Spider-Man deluxe plush toy. Spiderman fans are sure to love this soft and cuddly 15" plush toy which features amazing moves! He can swing in the air and do a 360 degree backwards flip, and even makes shooting web motions! Press Spider-Man's tummy to hear him play the Spiderman theme song!